Berlin, October 4, 2016 – Influencer marketing is one of the trend themes 2016. The Berlin-based early-stage investor Möller Ventures (www.moeller-ventures.de) is now announcing its commitment to StyleLike and is the first Angel investor to take part in the new marketing platform. StyleLike brings together influencers and brands and provides intelligent matchmaking for Snapchat and Instagram. 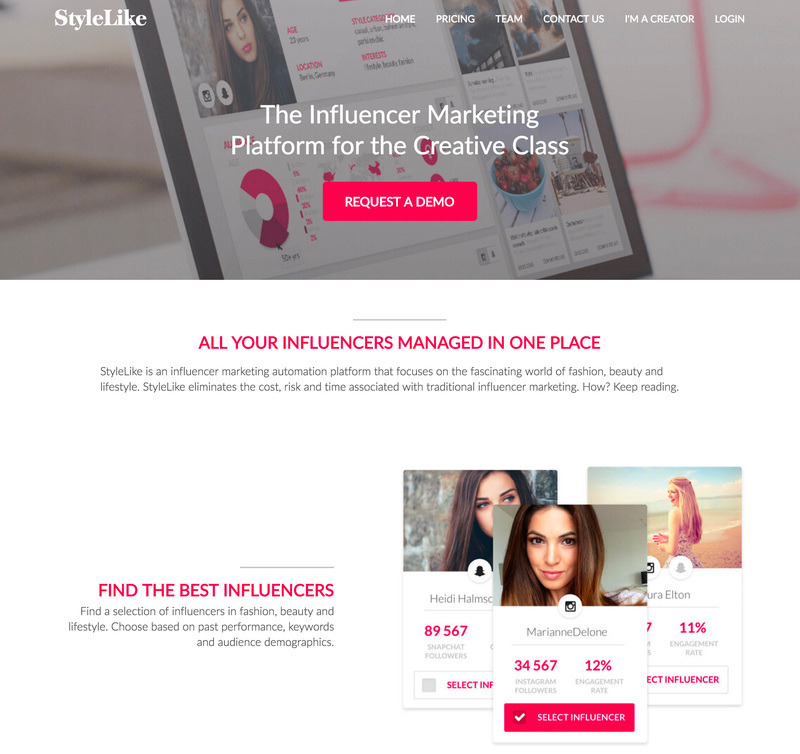 StyleLike can very precisely determine which audience an influencer has with its content and put on precise campaigns: This minimizes scatter losses for brands and companies and they can directly contact their target group. With StyleLike, influencers have the opportunity to monetize their reach in social networks and come into contact with large companies and brands. Several hundred international influencers from the fashion and fashion sector are already under contract. Even well-known brands have already been won. StyleLike can be found via two addresses. An overview of the influencers can be found at www.StyleLike.it. Companies and brands can be found at: www.StyleLike.io.